It was only a matter of time: Tumblr has just added Stickers and filters to its photo uploader and GIF Maker. The company introduced a robust GIF creation tool back in 2015, and then added text overlays last year. 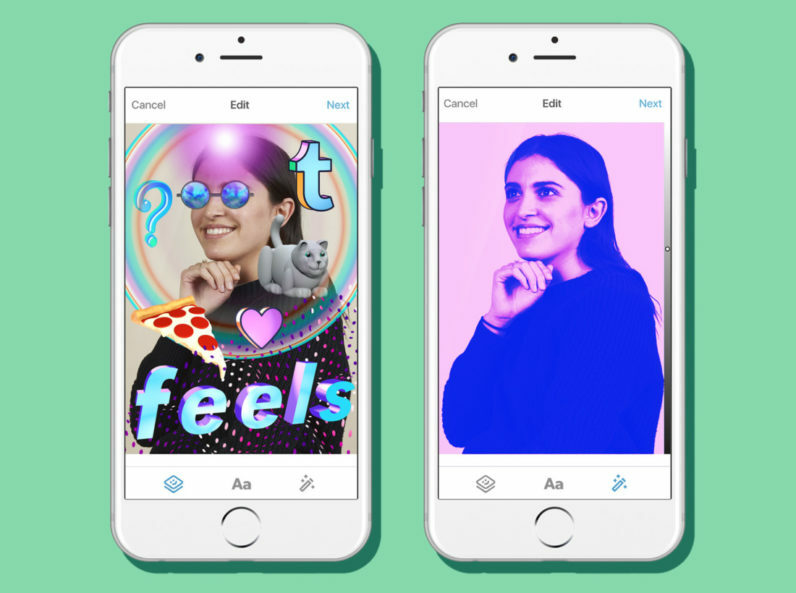 Now you can spice your GIFs up even further with stickers too, bringing the network up to par with Snapchat, Whatsapp, Messenger and so many other social platforms. Frankly, it’s surprising it took this long, but I’m complaining; stickers are great. Tumblr is also differentiating itself a 3D aesthetic to its stickers, which I think have an oddly retro-kitsch charm. Its filters are also stronger and more colorful than what we normally see from other apps – Tumblr says both choices were intentional. There are “more than 100” sticker options to start, though Tumblr will be adding more over time, including the usual themed one for holidays. February kicks it off with Valentine’s Day and Black History stickers. To create a sticker, simply make a new photo or GIF post, and tap on the face icon at the bottom of your screen. For filters, you tap on the wand, and then swipe left or right to switch between the different styles. The new features are rolling out today on both Android and iOS.